John Willis is from Portchester, Portsmouth and was 34 when he was diagnosed with testicular cancer in August 2010. This is the most common cancer in men aged 15–35. If detected early, its cure rate is a promising 95 percent. Unlike a lot young, healthy men, John didn’t ignore the warning signs, and he never imagined the seriousness of his condition. A mixture of strong support and a never say die spirit took over. He declared war on this illness and vowed to be a cancer survivor, not a victim. He went on to educate himself about the disease and treatment he would be receiving and underwent this treatment to beat it. After treatment he created Kick It Into Touch. 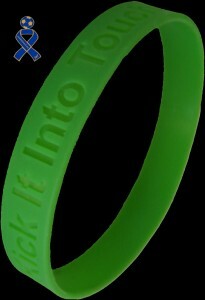 This charity is to raise awareness of testicular cancer among young men. This was the beginning of John’s life as a voice and fundraiser for testicular cancer. Unfortunately, In October 2011 he was diagnosed with a stomach tumour (GIST) which was successfully removed the following month. He was still undergoing treatment for this latest tumour when in November 2012 he was again diagnosed with testicular cancer. This time in his para-aortic lymph gland at the back of his abdomen. In early January 2013 John started 9 weeks if intense chemotherapy to be rid of this awful disease once and for all. At the time of writing this, he’s 2 weeks into the 9 and is coping well with it and still trying to raise awareness, and money for other cancer charities local to him around the Portsmouth area. You can follow John’s blog on the right and side and by month through the calender at the top of the page.